Enter online at the SNZ Website. 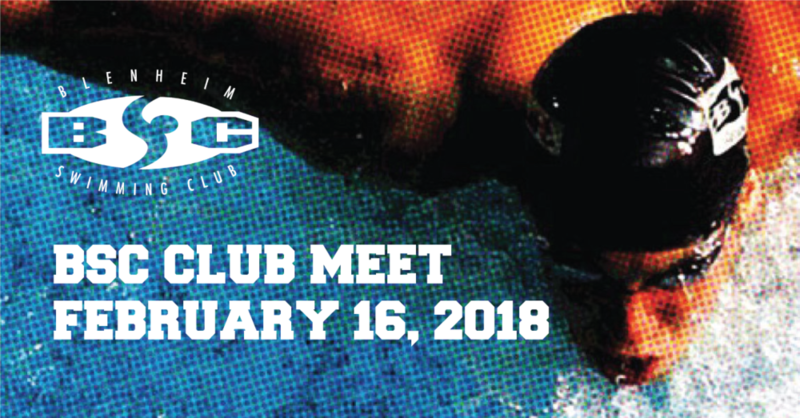 This meet is open to ALL Blenheim Swim Club members. You do NOT need qualifying times to enter this meet. CLUB & COMPETITIVE swimmers from Swimming Nelson Marlborough affiliated clubs may enter. COMPETITIVE swimmers only from non Swimming Nelson Marlborough affiliated clubs may enter. You can see and download the meet flier HERE. Enter online at the SNZ Website HERE. 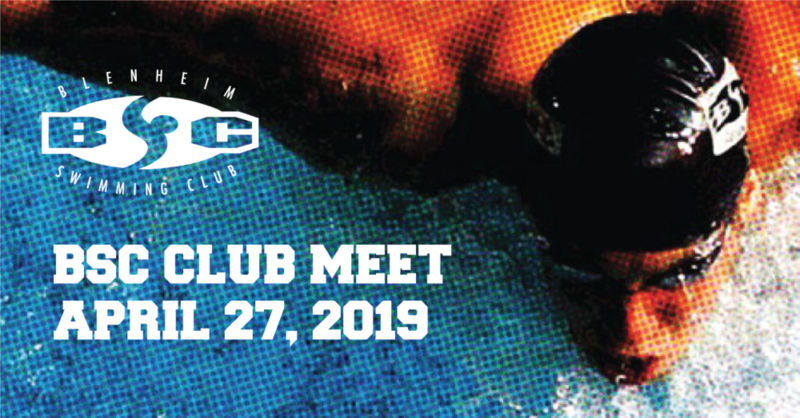 This meet is open to COMPETITIVE Swim Club members ONLY. If you are a Blenheim Swimming Club member, you need to have a COMPETITIVE membership to enter this meet. OPEN TO BSC MEMBERS ONLY. PLEASE ASK FOR ASSISTANCE IF YOU ARE UNSURE WHICH EVENTS TO ENTER. Registered swimmers, please enter online as usual at the SNZ Website HERE. WE ARE HOSTING SOME UNREGISTERED RACES AT THIS MEET FOR PROSPECTIVE MEMBERS TO GIVE COMPETITIVE SWIMMING A GO! You can enter directly using the form below, or complete the same form online in Google Forms HERE. 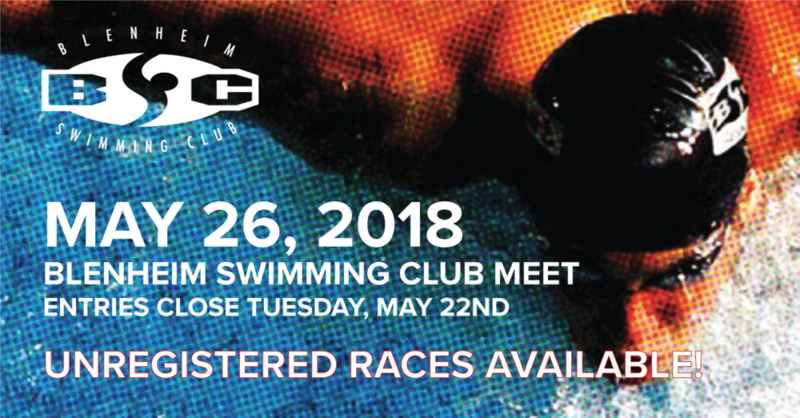 ALL Unregistered swimmers must be entered by 6pm, Tuesday May 22nd. These are the same rules as for regular swimmers. No entries on the day will be accepted. Unregistered swimmers will pay a $10 fee PAYABLE ON THE DAY, and may enter up to 4 events. See the form below to make your event selection. We will be sending lots of information about what to expect in advance of the meet, but if your child has competed at the recent Primary Schools Champs - the meet will be run in a similar fashion. Swimmers will be expected to sit with the Blenheim Team (or Visiting Team if applicable, and we will have plenty of help on hand to make sure they have a good time! If you have any questions about the meet - PLEASE CONTACT LOWRI HERE FOR MORE INFORMATION! 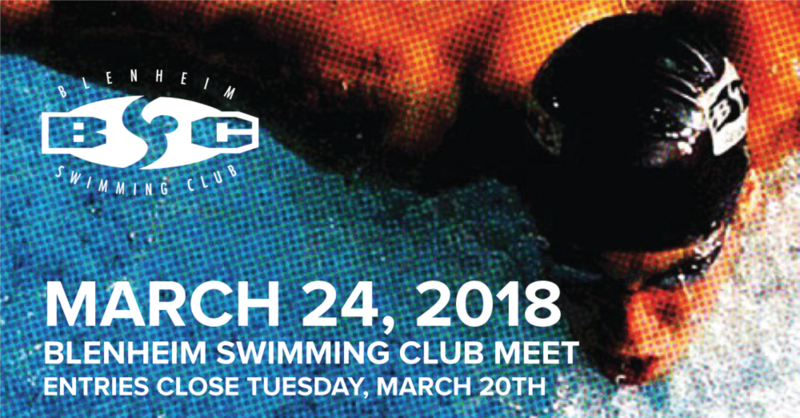 This meet is ONLY open to Blenheim Swim Club members. PLEASE NOTE THAT WARMUP STARTS AT 4:30! This meet is open to club and competitive swimmers, who are fulltime secondary school students in Years 9-13, and are under 19 years of age on 1 January 2017. Swimmers must also have met or bettered the qualifying standards. Entries are to be done online via MyPage which can be accessed from the SNZ website. Entry fees are to be paid at the time of entry using a credit card. All schools must also complete a Team Entry List form and Relay Forms. NEW JULY 28 - UPDATED MEET FLYER HERE. All entrants to this event must be registered as a Competitive Swimmer with a swimming club. You DO NEED qualifying times to enter events at this meet. Please see meet flier linked above for detailed information. Entries are to be done online via MyPage which is accessed from the SNZ website HERE. Entry fees are to be paid at the time of entry using a credit card. Entries are open from July 11th open close at midnight, August 15th, 2017.